PINKHAM NOTCH NH – Join an AMC Outdoor Guide on an attempt to summit New England’s highest peak, Mount Washington. At 6,288′ the “rock pile” should be on everyone’s bucket list. Often underestimated due to its low elevation for a summit above treeline, and it’s relatively short mileage. This challenging hike may be difficult for some to accomplish in one day, so we will take advantage of Lakes of the Clouds Hut and spend the night, hiking back down the next day. Nichole Cousins and Laura Cummings will be there sharing 10-12 paperbacks ranging from hot new releases, sleepers, those books you missed and shouldn’t have, Young Adult and more! Plus, special guest, New England Hachett Publishing Rep. Katrina Kruse, will be there giving her own book pair! And of course there will be Hobbs beer! Tickets are $30 and includes a flight of 5 beers and one new book to take home. And if you do not drink beer that’s ok, we want you to come just for the books! (Tickets are $20 without the flight). PINKHAM NOTCH NH – The Tuckerman Inferno adventure race started in 2000 as the annual fundraiser for the Friends of Tuckerman Ravine. The race pays homage to the original American Inferno ski races of the 1930’s. 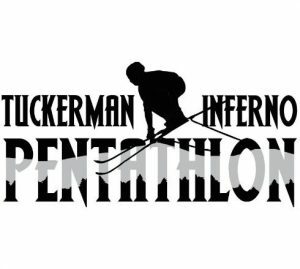 While the classic American Infernos were top to bottom ski races only, the current Tuckerman Inferno now includes running, kayaking, biking, hiking and skiing to create a pentathlon event that is one of the most challenging adventure races in the country. Individuals and relay teams of up to five people compete to see who will be the fastest to cover an approximately 36 mile course that starts in the Mount Washington Valley and finishes in Tuckerman Ravine. Individual champions are crowned Tuckerman and Tuckerwoman and there are terrific prizes for all categories of competitors. 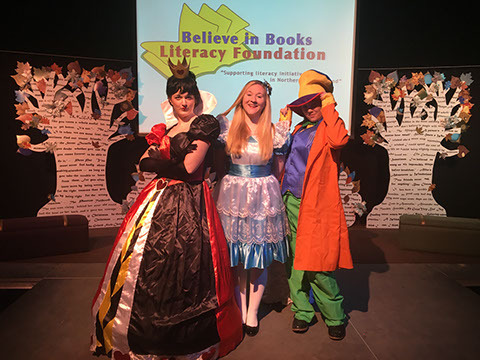 INTERVALE-NH – Join us at the Theater in the Wood to meet some of your favorite Storybook Characters! Each week you can have a tasty pancake breakfast with a new group of friends enjoying our own 100-Acre Wood Maple Syrup! Fill your plates, gather around the stage and enjoy a storybook reading with a meet & greet to follow. Plus, you have use of the 100-Acre Wood Trail System for the entire day! 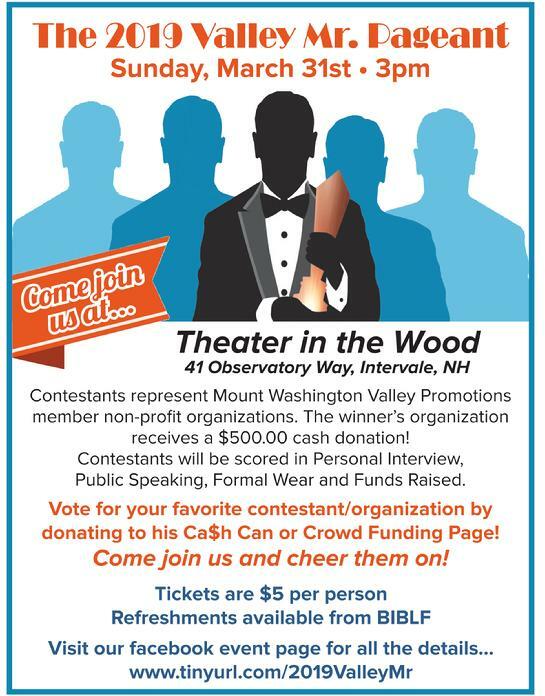 NORTH CONWAY NH – If you love food and fun, and who doesn’t, you don’t want to miss the tastiest event of the year when the Mt. 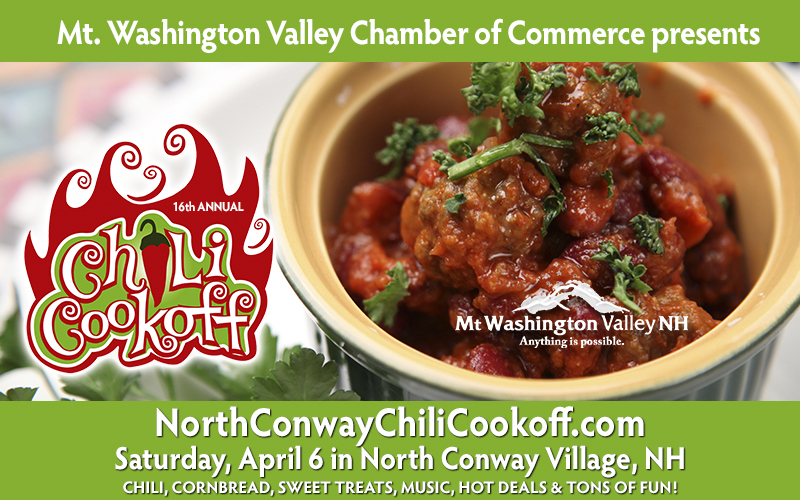 Washington Valley Chamber of Commerce kicks off spring with the 16th Annual Chili Cookoff, Saturday, April 6 from 11 – 3 at the North Conway Community Center. Professional, non-profit, home chefs and… new this year… kids, bring their best so come hungry and ready to enjoy chili of all kinds, cornbread, sweet treats, music courtesy of Wildcat Tavern, and more. Take a stroll through the village for Red Hot deals at local retailers. We’ll see you at the end the day at Abenaki Trail Restaurant & Pub for the awards party. Tickets are just $15 adults, $7 children 12 & under, 4 & under free. Tickets may be purchased online or at the door. See you at the Chili Cookoff! Make a day of it and join Rockhopper Races for a fun 5k and 10k at 9 am. The race starts an finishes in Schouler Park. Your entry includes admission to the Chili Cookoff! There will be more fun in Schouler Park with Knockerball North Conway. If you’ve never tried it here is your chance to see what a blast you can have in a bubble or playing Soccer Darts. 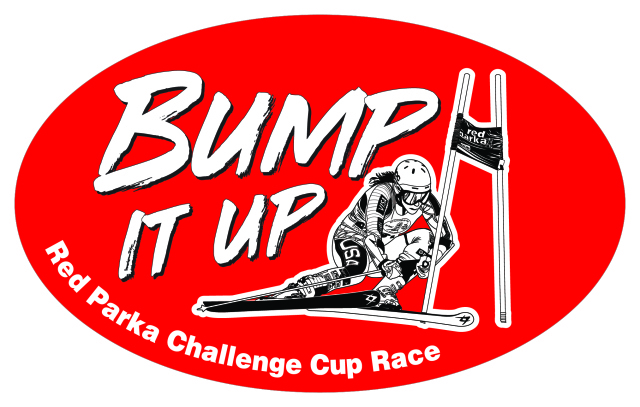 BARTLETT NH – For 46 years, The Red Parka Challenge Cup Race has offered themost exciting dual slalom race in the East. It is also arguably the longest running race. And all proceeds benefit the Eastern Slope Ski Club’s Jr Ski program. 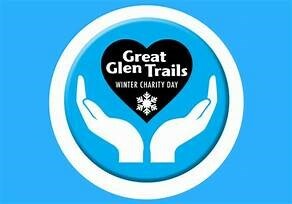 PINKHAM NOTCH NH – The Great Glen Trails Winter Charity Day Saturday, March 9, 2019 – 8:30am – 3:00pm is an event which celebrates active lives, and promotes the spirit of giving. INTERVALE, NH – Explore the open Intervale trails by the light of the moon on March 16, 2019. These evening walks depart from the 1785 Inn located at the Scenic Vista in Intervale. Complimentary refreshments will be served after the walk and their bar will be open serving beer, wine and cocktails for purchase. Clothing: Dress in usual layers for winter outdoor activity. Tour Cost: $25 per person includes full day trail pass. Rentals: Discounted MSR Snowshoe rentals available for $10 for tour participants. Be sure to reserve when making tour reservation. Reservations Required: Call the Touring Center at 603-356-9920 for reservations before 5 pm. FRYEBURG, ME – Teach, explore research, protect, Tin Mountain inspires! 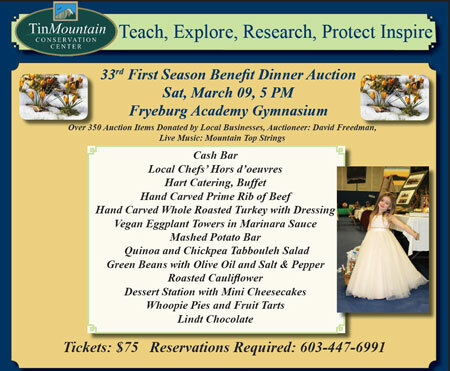 Come celebrate spring at Tin Mountain’s First Season Benefit Dinner Auction on Saturday, March 9 at 5pm at the Fryeburg Academy Ada Wadsworth Arena. The First Season Benefit Dinner & Auction provides critical support for Tin Mountain’s environmental education programs offered to area children and adults. Tickets are $75 each and reservations and prepayment are requested. For reservations call Tin Mountain at 603-447-6991. Enjoy good cheer and bid on hundreds of exciting items donated by local businesses and craftspeople. Tin Mountain’s First Season Festival Dinner Auction is the premier auction in the greater Mount Washington Valley and is considered one of the finest social gatherings of the season, with an enthusiastic crowd of 400. Mountain Top Strings will perform delightful music as attendees mingle in a forest-like setting. A festive burst of color on tables ushers in spring.